Ha, yes I love blue LED lighting! You finally received it! Happy New Year! Came home to a lovely surprise today and I love it, love it, love it. I hope you can find time to test it. But House chores are also important. Did they ship a UK power cord in the USB-C PD? Normally everything shipped from China has the US cord. I also had a US cord, the cord was not for Europe so I just bought a suitable one..
Ooooooh I don’t know about the cord. I haven’t opened it yet. It's an IEC C7 type so typical of laptops. It's the same cord as all the Powerport desktop chargers. Congratulations! So glad to hear that you "love it, love it, love it"! Just watching a few vids on YouTube - MarzBarVlogs just uploaded a new vid where he received the package. Gave a great review of the Liberty + calling them the Apple AirPod killer, which will I’m sure create a lot of traffic towards the product from his subscribers. I watched this video and in my opinion it was not a great review. But I think it doesn’t really matter because it might be positive for Zolo to sell more of their earbuds. I know it was just an initial hands on / short test review and not in-depth but what he did say was positive and will sway a lot of viewers to check them out. 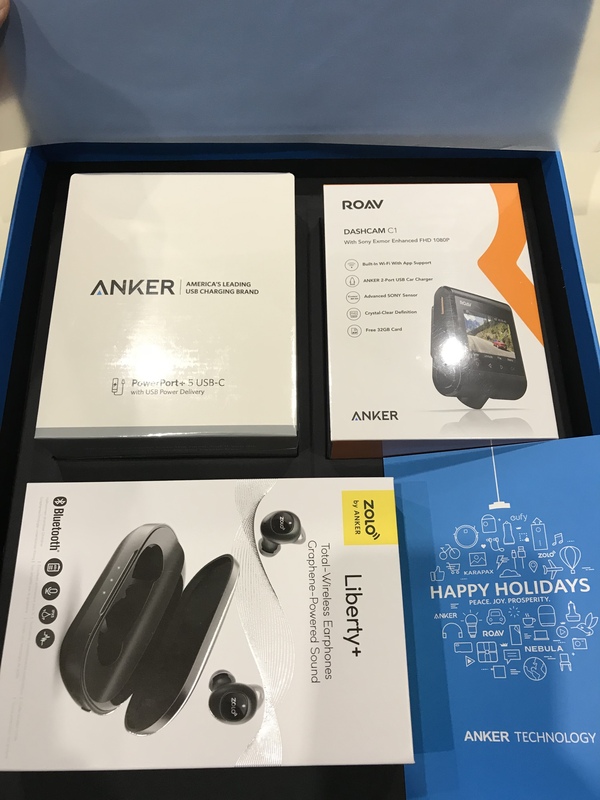 Just watching a YouTube vid from uravgconsumer and up popped the Anker Xmas gift box, he’s only a month late but still good to see the brand getting more exposure.